Avocados are one of those rare superfoods that actually taste good, so it’s no surprise they are more popular now than they’ve ever been. 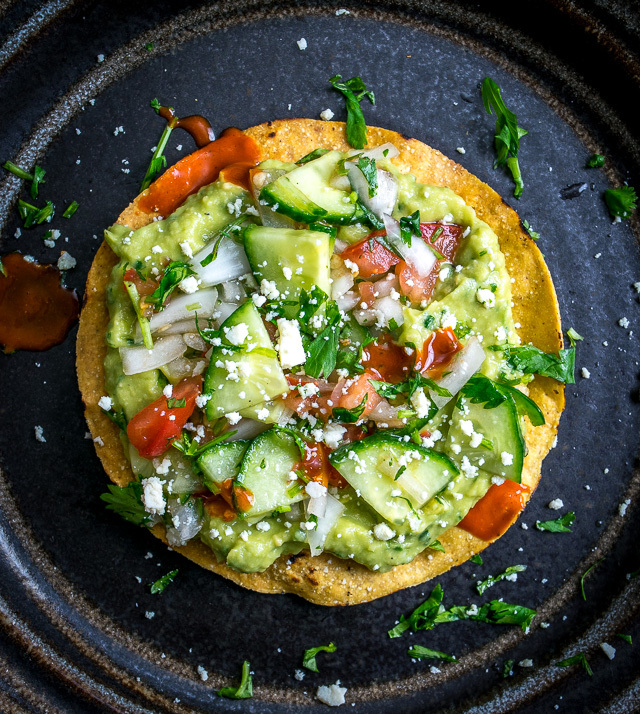 After wading through some of the boring stuff (nutritional benefits) we’ll get to the good stuff (yummy avocado recipes) in hopes that you pick up a few new ways to incorporate more of these beauties into your diet. For myself, there’s an unspoken nutritional benefit of avocados that extends far beyond their actual properties. They keep me full! This not only prevents non-stop munching throughout the day, but it also simplifies meal planning. I think this often gets overlooked and it seems just as important as the actual ingredient make-up of the avocado. 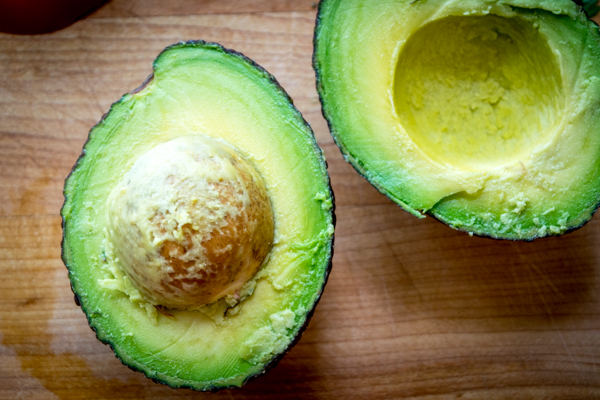 Ripe avocados want to be part of your diet; here are a few tips to help keep your kitchen stocked full of them. Avocados are finicky and have a small window of consumption. Give ’em a squeeze when you’re at the supermarket. The darker ones that give a little when you press into them will be ripe and ready to eat. If they’re too firm you won’t be able to cut into them, and if they’re too mushy they’ll be brown inside. But instead of just buying the ripest avocados I think it’s beneficial to keep a wide range on hand. In other words, buy some that are fully ripe and some that are not even close (greener skin as seen in above pic). That way in a couple days you’ll wake up to a ripe avocado. 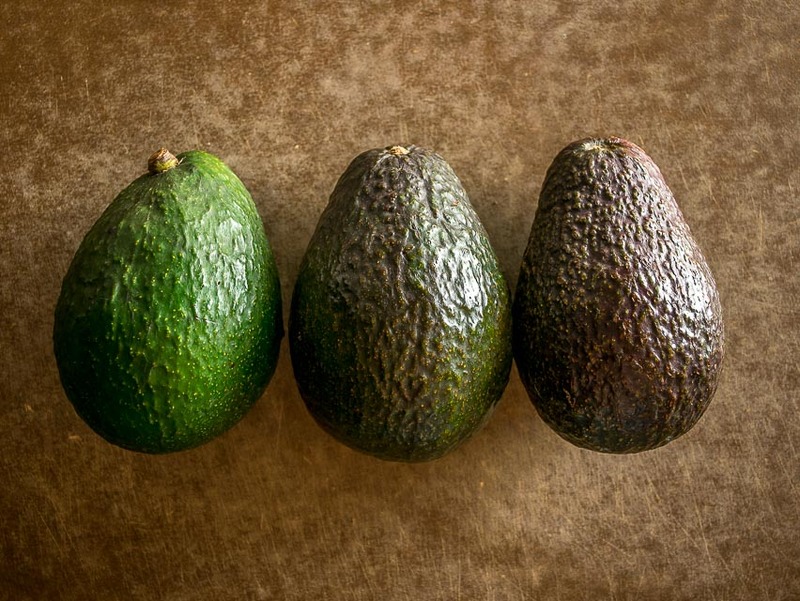 Keep the avocados that need to ripen on the counter, at room temperature. And keep the avocados that are already ripe in the refrigerator (assuming you don’t need them that day). Keeping ripe avocados in the fridge will halt the ripening process and extend their life by at least a few days. This is a great trick to keep in mind and I use it all the time. If you need avocado bits you can give the avocado a quick score while it’s still in the skin. Then when you scoop it out with a spoon it will already be diced up. 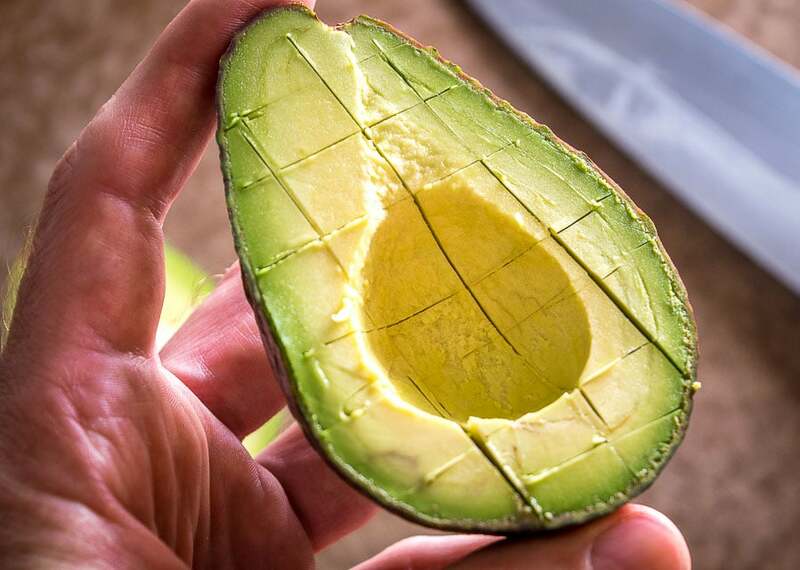 The thick skin of the avocado should keep the knife gliding along the inside of the avocado as you score it, but this technique definitely requires some practice so please be careful the first time you do it. 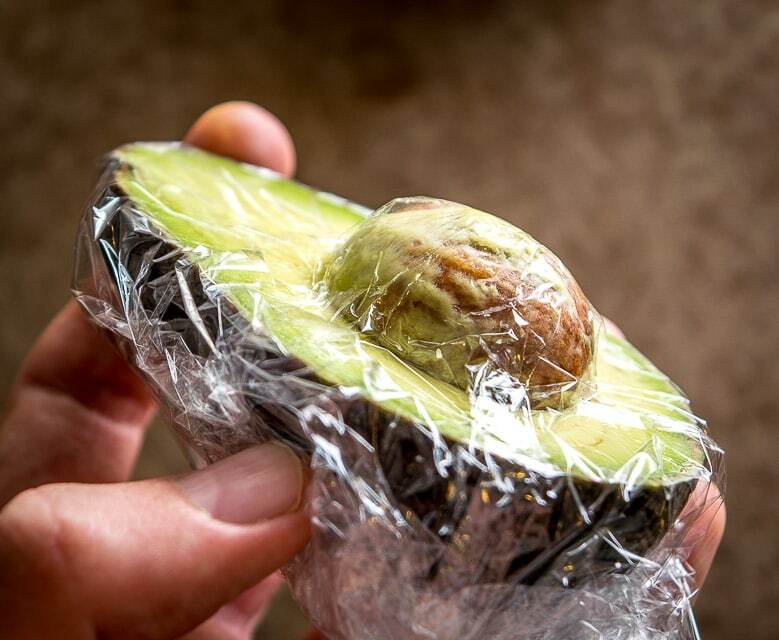 The most common method to store an avocado half is to rub the exposed flesh with a bit of lemon/lime juice and cover it tightly with plastic wrap while keeping the pit attached. 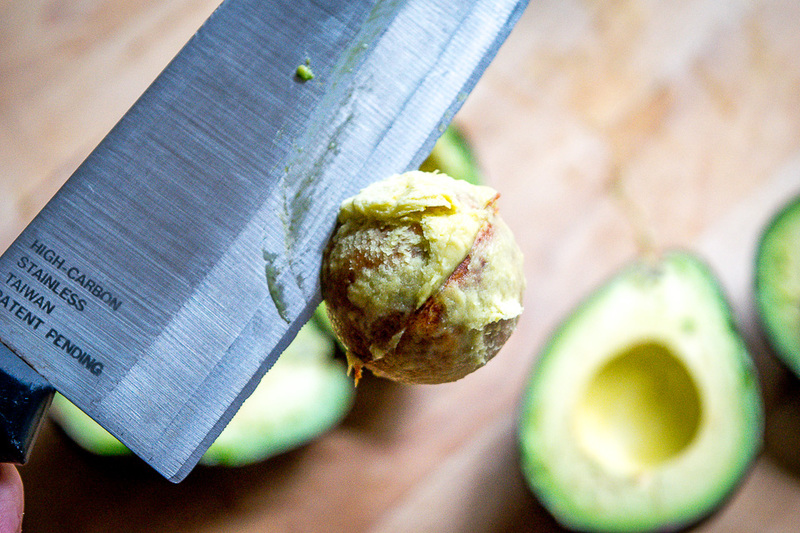 But even this method isn’t guaranteed to stop all oxidation of the avocado. 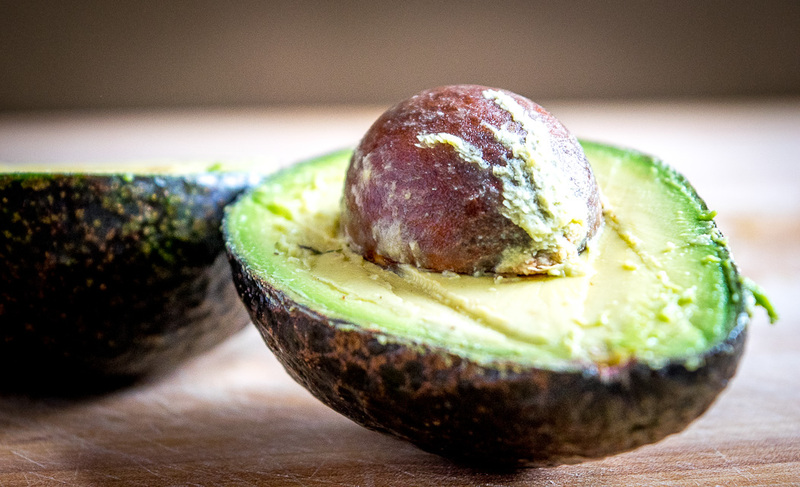 You might still get some browning on the exposed flesh, but you can usually scrape away a brown layer and find ripe avocado below. And don’t sweat it if you don’t have lemon/lime on hand, just wrap it tight in plastic and you’ll still be able to use at least part of it over the next few days. 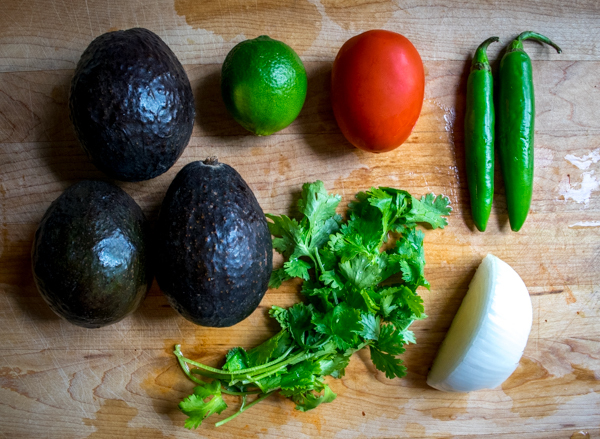 That’s all you need for a perfectly delicious batch of guacamole (plus 1/4 teaspoon salt per avocado). I know what you’re thinking…where’s the tomatoes?! Where’s the jalapeno?!! 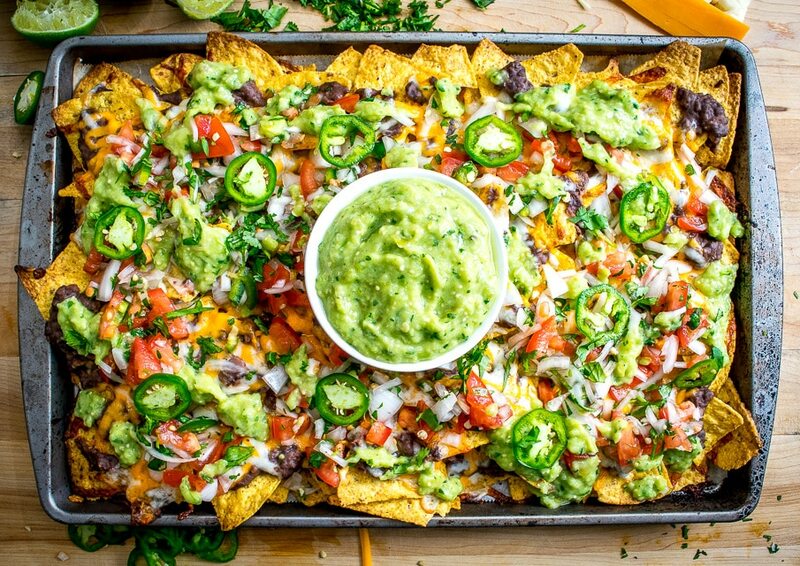 Well, they’re on standby until you try this Basic Guacamole. 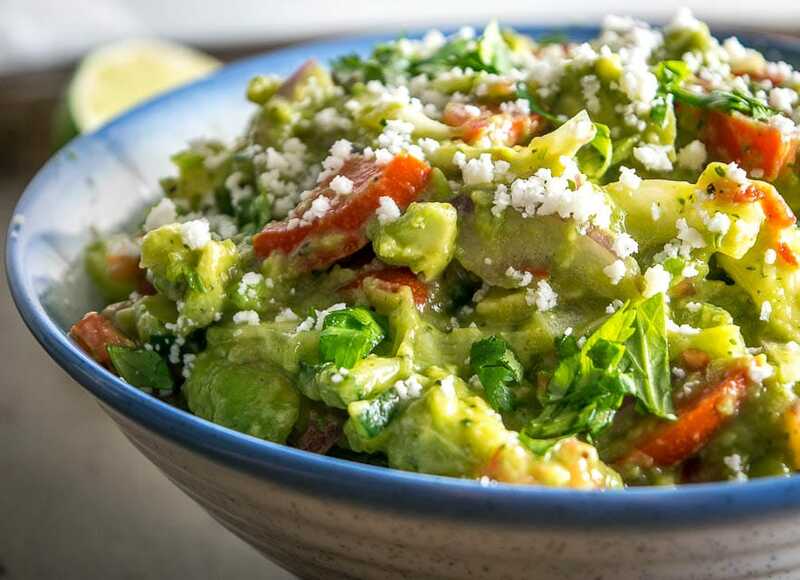 It’s a great default guac recipe because it lets the avocado be the star with minimal dressing — all you need is avocado, onion, lime and salt. Plus it only takes a few minutes to make — perfect! 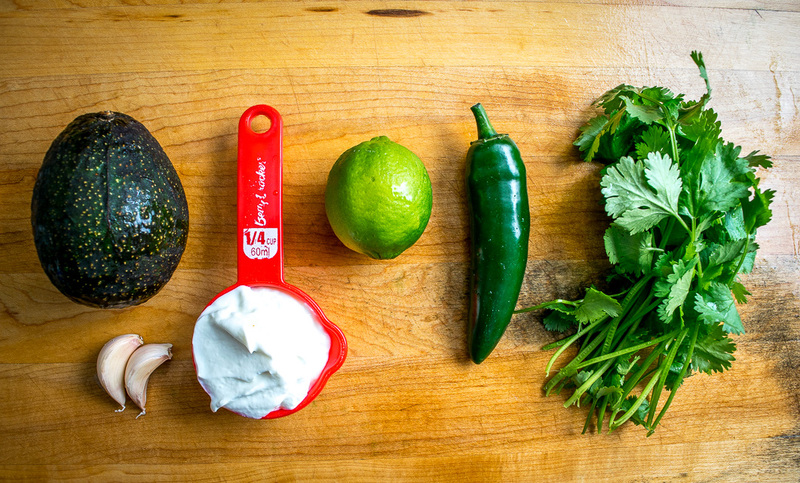 I use this recipe probably 90 percent of the time when guacamole is called for. 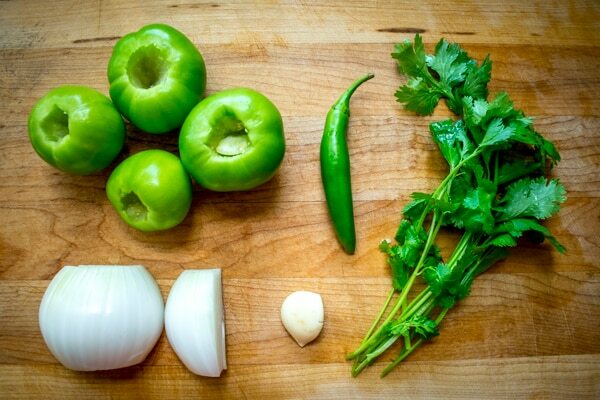 So in the above pic you’re adding serrano (or jalapeno), tomato, and cilantro to the mix. 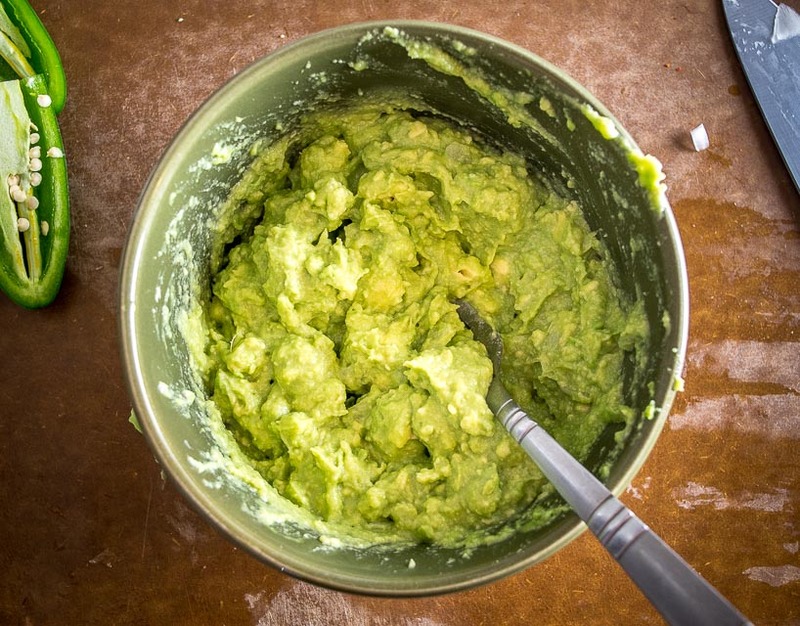 Notice that the onion/lime/salt base is already present and this is another reason to try out the Basic Guacamole recipe — it’s the perfect starting point for loads of additional guac recipes (just no peas please!). 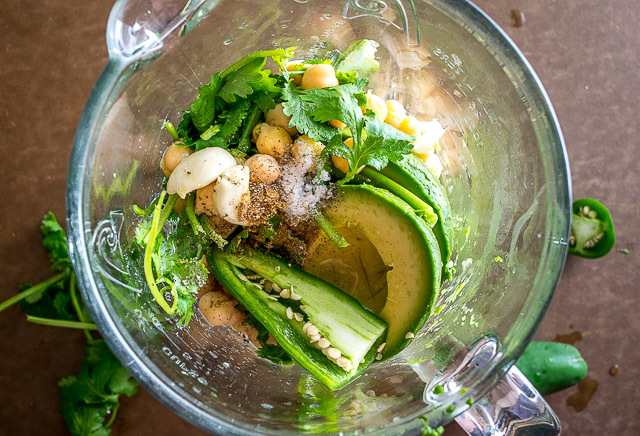 Next up is this otherworldly Avocado Salsa Verde recipe. 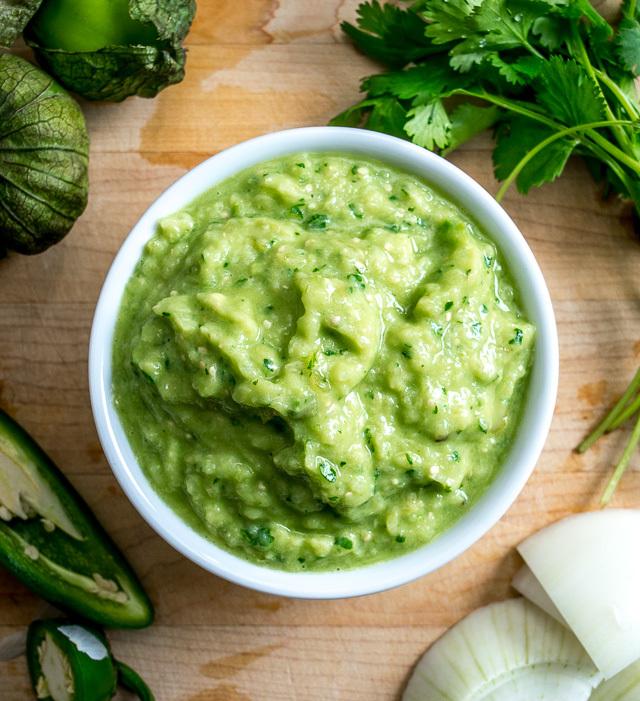 This creamy green sauce has some real zing and it has the potential to be your kitchen’s most requested sauce. 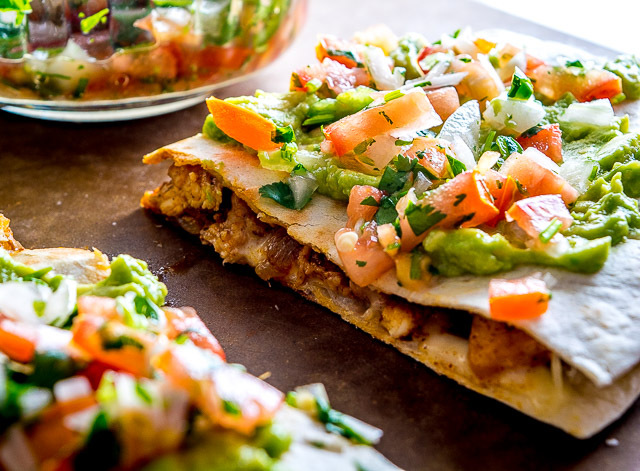 This sauce works great in burritos and we also use it in our Spicy Black Bean Nachos. Next up is Avocado Soup. If you’re new to Avocado Soup then you’re in for a treat! It’s a light, satisfying soup that doesn’t require a lot of ingredients. I think this soup tastes best when made with Vegetable Stock. It’s super easy to whip up a homemade veggie stock so that’s what we typically use. 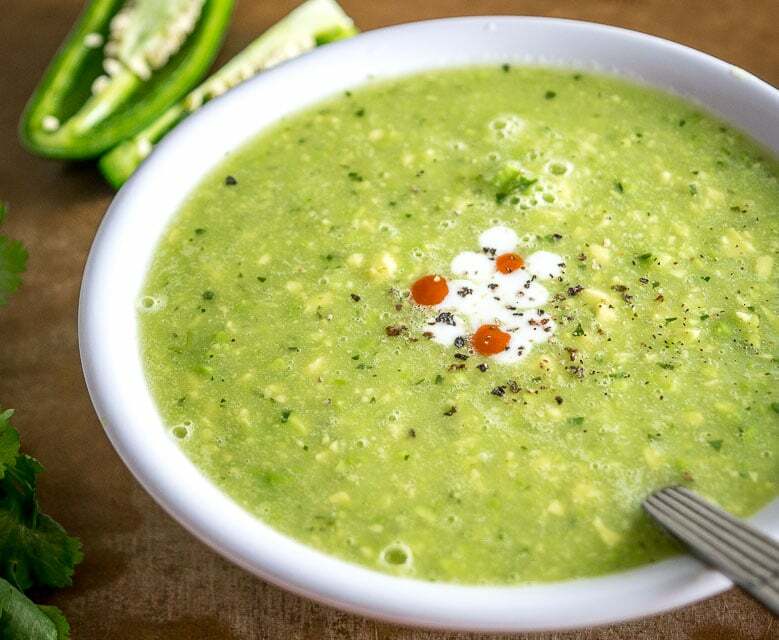 Keep in mind that a final burst of acidity really makes the Avocado Soup come to life so definitely considering adding in a final blast of hot sauce or lime juice. 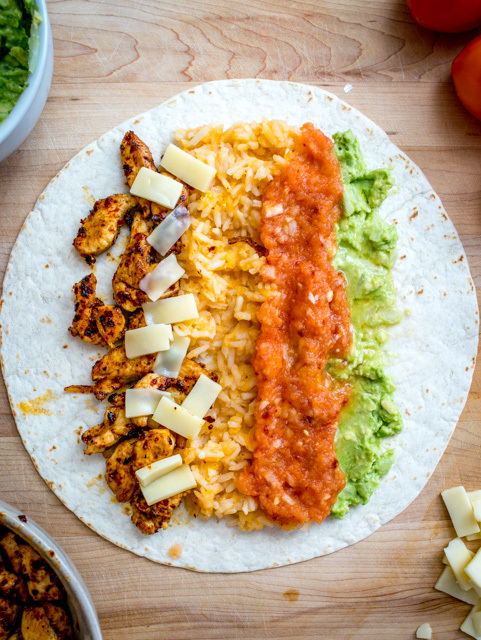 We use this sauce for our Burrito Bowls, Chipotle Burgers, and Kale and Quinoa Salad. Keep in mind that you can decide how rich you want the sauce. For example, you can use 1/4 cup of Greek yogurt in place of mayonnaise and you’ll end up with a much lighter version. I typically use Greek yogurt but then add in a final dash of fat (either cream or mayo) and this will give you the best of both worlds. 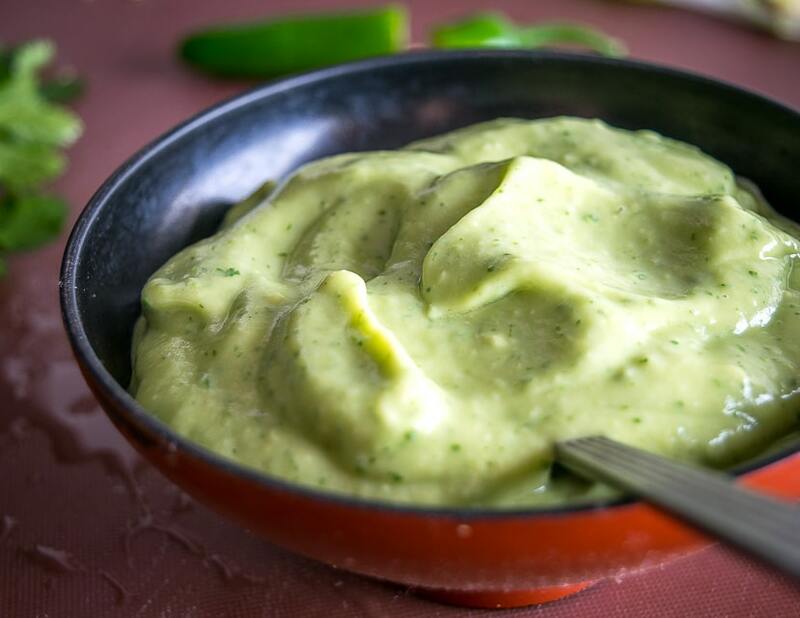 And for an even lighter version you can make a traditional Salsa de Aguacate (Avocado Salsa). This is a mildly flavored sauce that works wonders on spicy tacos. If you’re on the hunt for an unconventional way to use avocados then it’s worth giving this Avocado Hummus a try. 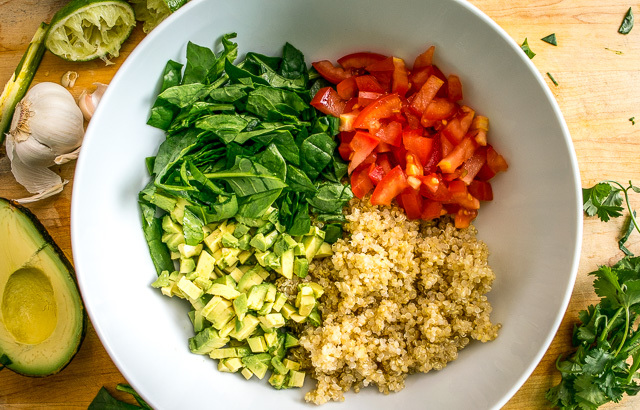 And combining fresh avocado with some protein rich quinoa works surprisingly well in this Quinoa Avocado Salad. 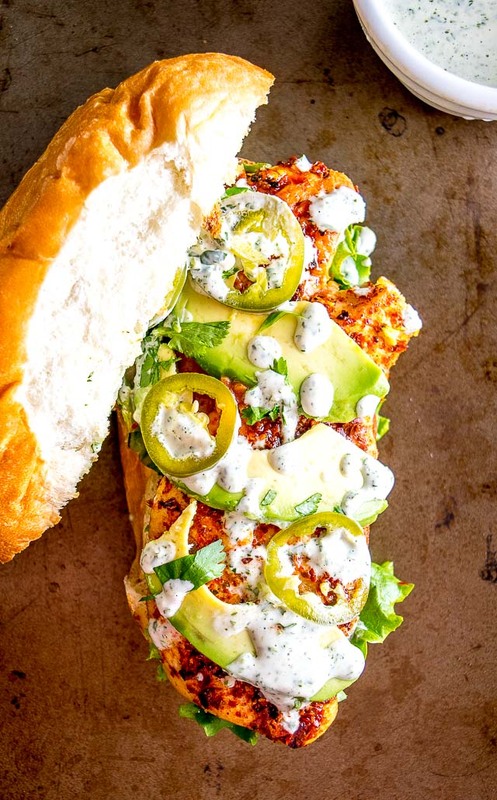 Hopefully, you’ll find some New Year’s inspiration in these avocado recipes. I’ve made all of the recipes multiple times so feel free to get in touch if you have any questions about them. 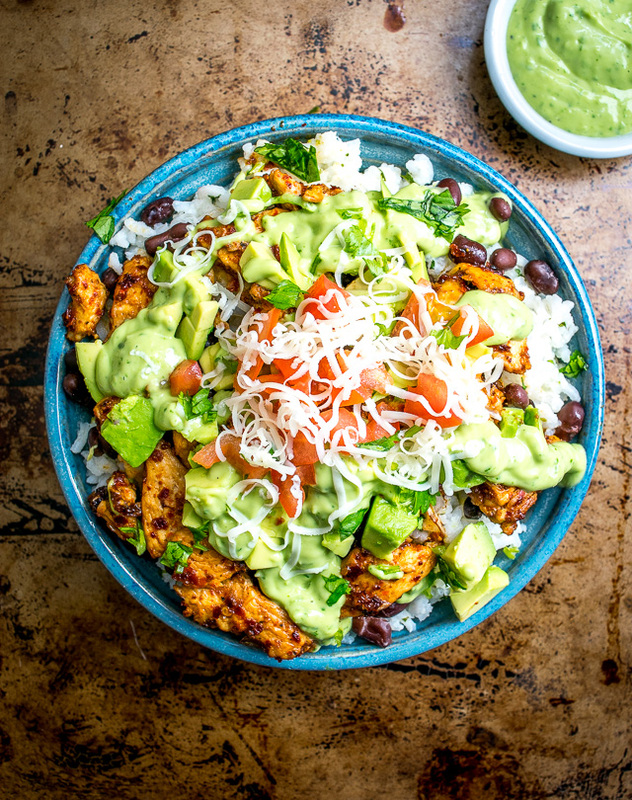 For even further inspiration I’ll link to some more recipes below that are supercharged by their use of avocado or guacamole. Good luck and Happy Avocado! Thanks Raschell! That guac wants to be in your house! Cheers. I ALMOST hate to admit it. 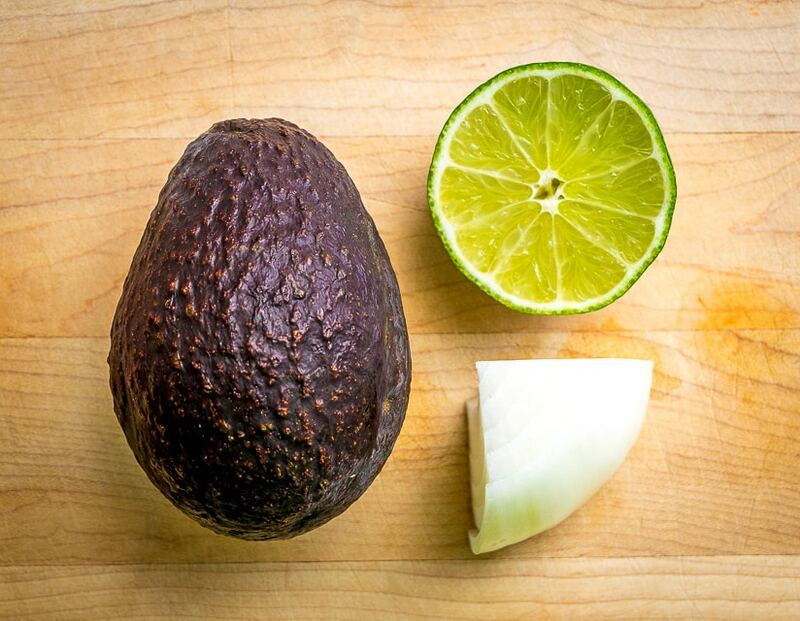 but my favorite way to eat avocado is to squeeze lime juice over half, then sprinkle salt & pepper on top. Love it! Ha that is awesome Esther. That is a bare bones guac on the fly! Wow! That’s a ton of great info and recipes here. Great photos. I’m off to buy more avocados. Thanks Irene! Good luck and Happy Avocado! Have been following for a while – love this blog and your IG feed. 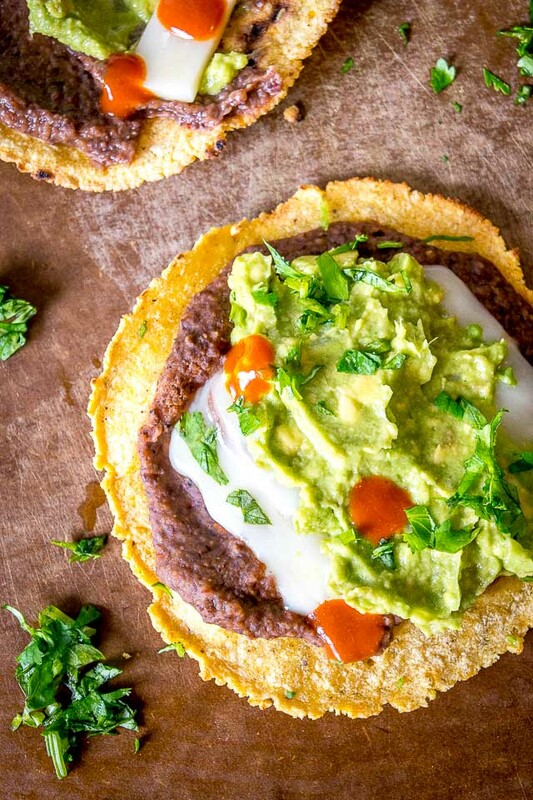 This is one of my go-to’s for Mexican cuisine info…keep it up! Hey Nate, good to see you around here again! Thanks much for the feedback — somehow my IG feed is dragging its feet lately but people keep mentioning it so I will make a bigger effort to keep it current. Cheers. Awesome that’s great news!! I crave that basic guacamole all the time and rarely add anything else to it. So awesome how much flavor you get from just a few simple additions. Thanks much for the feedback Meredith, I hope you find some other keepers in there. Great article, Patrick. I am definitely going to be trying out some of recipes mentioned. My girlfriend has found that storing guacamole in a bowl that is in turn placed in a larger bowl that has chopped onions (red or white) in it and covered with plastic wrap keeps it from turning brown for at least a week. Finding a use for chopped onions, when the guac is finished, is never a problem in this kitchen. Thanks for the feedback Gordon! Wow that is an interesting one — I’ve mostly given up on avoiding that oxidation but will give your technique a try. Cheers! Some great ideas. I’m ready to make some of these recipes now. The dip looks fantastic.